RSA Insurance Northern Ireland is part of one of the world’s leading insurance groups, writing business in over 100 countries. 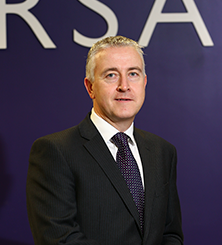 Formed in 2013 by the merging of RSA and Europe General, RSA in Northern Ireland is one of the largest and fastest growing insurers in the province, with an extensive range of commercial and personal lines products channelled through a network of insurance brokers and scale partners. “The transfer to the new councils has presented some challenges,” explains Mitchell. “For example the councils have increased their responsibilities for things like car parks, planning and tourism in Northern Ireland. In addition, both central and local government are collaborating more formally on matters like gritting of footpaths and emergency planning. It’s RSA’s responsibility to provide the appropriate technical advice to the councils to allow them to manage their exposure. “That’s the beauty of a composite underwriter. We insure some of the biggest businesses in Northern Ireland in almost every sector – agri-food (meat processors and animal feed manufacturers), construction, manufacturing, wholesale and retail. We can cater for all of the company’s insurance needs without the time-wasting and hazards of having to place them with different insurers. “We understand that the claims service we provide is where our service stands or falls. However, we also try to be proactive in helping clients minimise losses when incidents occur. We have 100 staff in total and a 25 per cent of them are dealing with claims. We have experts who are able to provide added value to the client and the broker and we can settle claims quickly. I think that’s where we are at our best, in terms of the service we offer to the market and that’s something I’m very proud of. 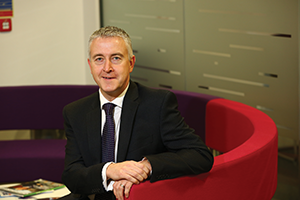 “Insurance is becoming very commoditised with online offerings,” says Mitchell. “The internet has enabled customers to become more knowledgeable about what is going on and as such what is right for them. However, the point I would make is that commercial businesses are always more complex. I believe that businesses will always need the practical advice of the broker to come up with specific insurance as opposed to the one size fits all type of product that is more suited to residential users and the likes of shops, pubs and restaurants. Born in Edinburgh and raised in Glasgow, Gavin left school at 17 unsure of what he wanted to do. An opportunity presented itself to work for General Accident in Glasgow and he has never looked back. Eventually he moved into sales management in various locations across the UK including Nottingham, Cardiff and Leeds. 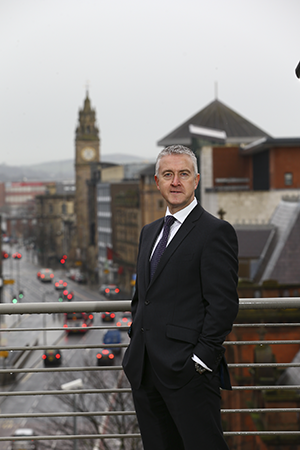 “I reckon I am one of the few people to have lived and worked in the insurance industry in England, Scotland, Wales and now Northern Ireland,” says Gavin.